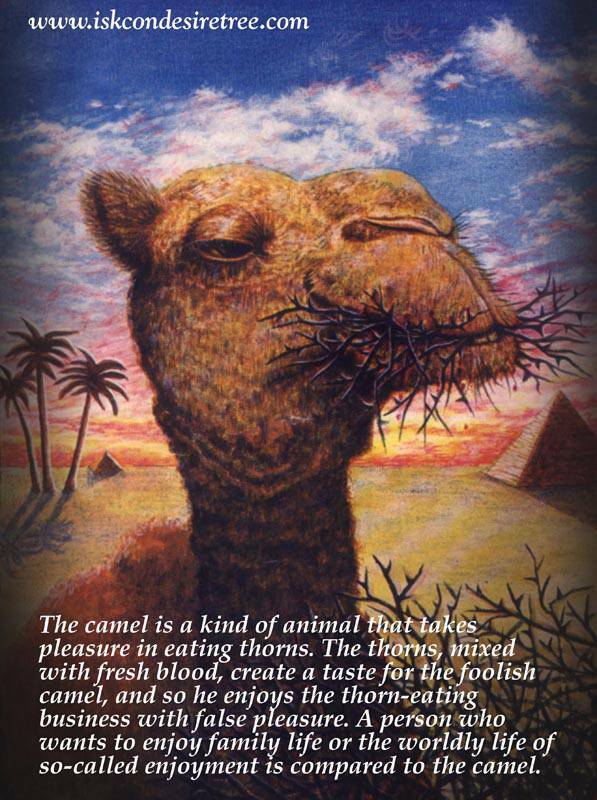 The Camel is a kind of animal that takes pleasure in eating thorns. The thorns, mixed with fresh blood, create a taste for the foolish camel and so he enjoys the thorn-eating business with false pleasure. A person who wants to enjoy family life or the worldly life of so-called enjoyment is compared to the camel. 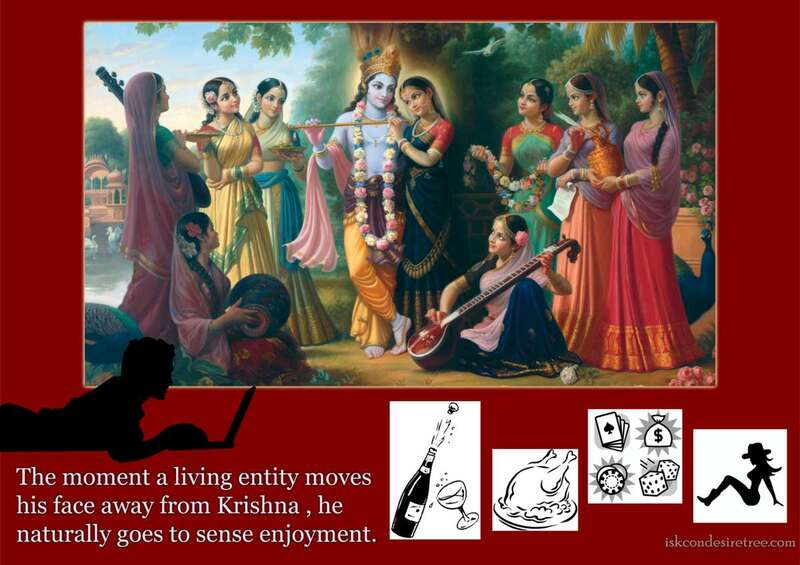 The moment a living entity moves his face away from Krishna, he naturally goes to sense enjoyment. When a man is attached to material enjoyment, he is attached to many miserable conditions, but nevertheless he accepts his condemned position as one of happiness. Sense enjoyment is so strong for such a person that he cannot give it up, exactly as a worm in stool cannot give up the stool. From the spiritual point of view, when a person is too absorbed in material enjoyment, he is exactly like a worm in stool. Although such a position is utterly miserable to the eyes of liberated souls, the materialistic enjoyer is greatly attached to it.